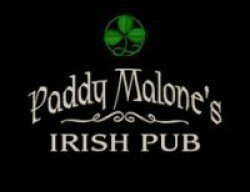 Mid-Missouri’s Premier Irish Pub, Jefferson City’s oldest tavern and the best Pub Grub in town! Freshly prepared food served in an authentic Irish pub setting. Family owned and operated, with friendly Irish hospitality waiting for you and your friends. Fully stocked bar, with extensive wine list and 12 Draught Beers & Lagers to choose from, including Ireland’s own Guinness, Smithwick’s, & Harp.